Ok you guys, I am stepping WAY outside my comfort zone here in several ways…writing about fashion (I am clueless! 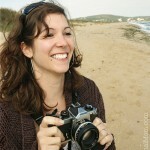 ), showing lots of photos of me (I feel so awkward in front of the camera instead of behind it!) 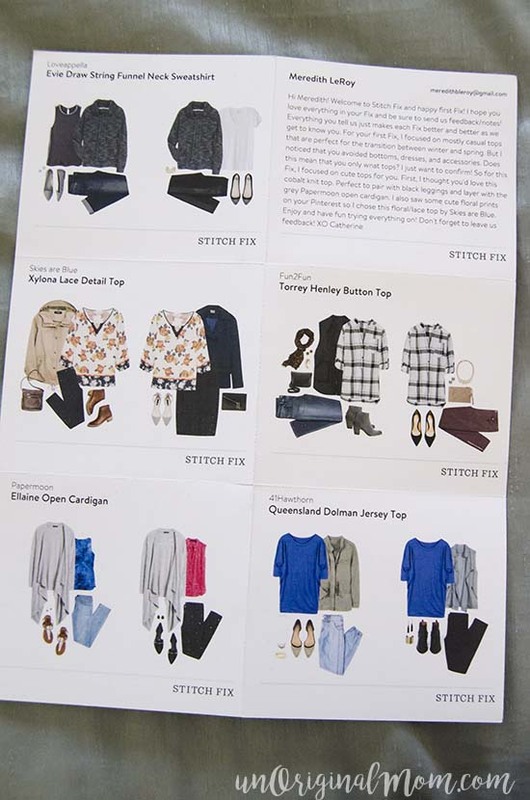 and writing about my first-ever experience with Stitch Fix (that’s my referral link in case you’re interested in signing up – see my note at the end of this post about it!). I’ve wanted to try it for a while now but just recently got up the nerve after some encouragement and practical tips from a good friend of mine. I’ve seen photos from Facebook friends and reviews from other bloggers before, but most of them are fashionista types with amazing style and taste, or at least women that work outside the home and have a “reason” to buy nice clothes. 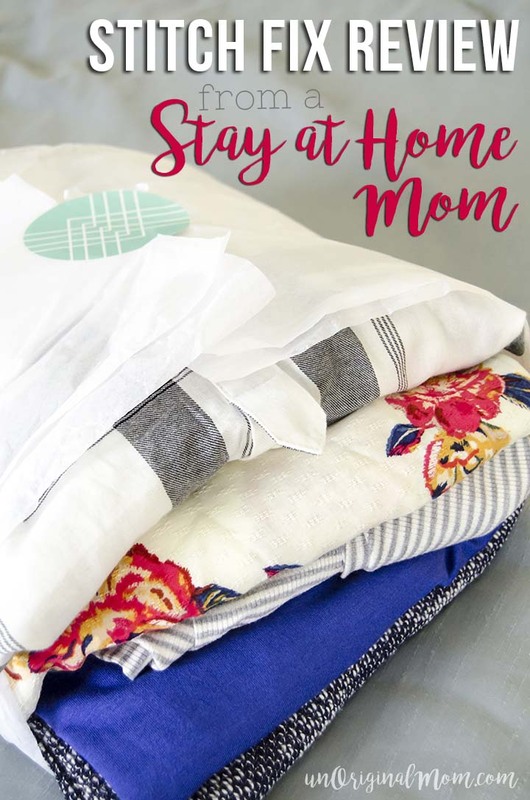 As a stay at home mom who mostly shops the department store sales for generic, comfortable, and practical clothes (that’s when I actually shop for myself, which is rare! 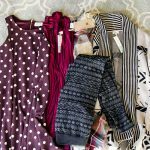 ), I thought other ladies out there like me might appreciate hearing my perspective on this whole Stitch Fix thing. So, what is Stitch Fix? 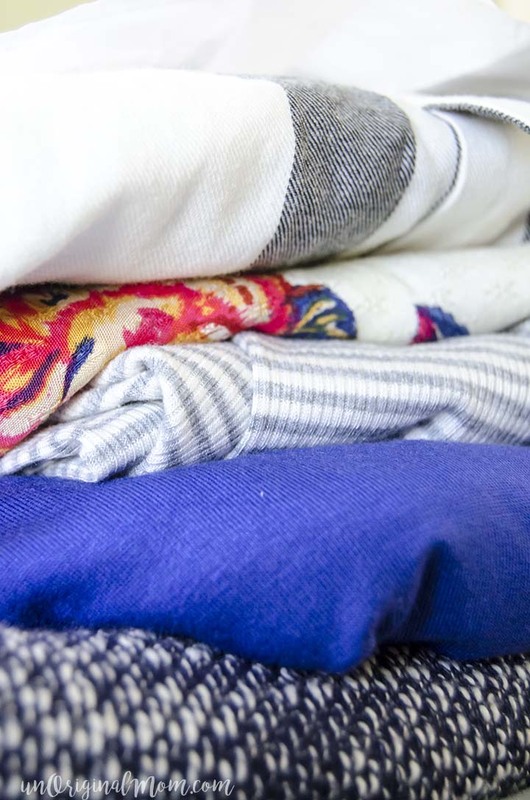 It’s kind of like a subscription box for clothing and accessories…but you pick the frequency (or just schedule them at your own convenience, which is nice), and are assigned a stylist who personally selects and sends 5 items for you. When you receive your box (I was surprised how excited I got when I saw that box sitting on my doorstep! ), you have 3 days to try on your items, decide what to keep, and send back what you don’t want in a prepaid mailer bag. You are charged a $20 stylist fee, but it can be applied toward any items you keep – so as long as you keep one thing, it doesn’t matter, but if you don’t keep anything, you’re out $20. If you keep all 5 items in your fix, you get a 25% discount on your total. Prices begin around the $40-$50 price point and go up from there. How do they know your size and style? When you first sign up for Stitch Fix, you complete a “style profile” that is a pretty comprehensive questionnaire about your size/style, price point, and what you want out of your Fix. The neatest thing about it is they allow you (they encourage you, actually) to link a Pinterest board to your style profile. That way, your stylist can look at what you’ve been pinning and get a better idea of what you like. 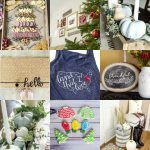 In fact, you can use your Pinterest board almost as a message board to your stylist – leave specific notes in the pin descriptions, and even request items! (You can see my style board here.) After you’ve receive each Fix, there’s a page to write detailed feedback on each item you received when you check out. The more feedback you leave, the better ideas your stylist will have for your next fix! Why I signed up. I’ll be honest – I was really hesitant to try Stitch Fix because of the price tag. My mom raised me to be a sale shopper, and I can’t remember the last time I paid full price for an item of clothing for myself! As a rule, I shop practically and frugally. (Don’t get me wrong, I am very thankful that my parents taught me to be financially responsible from a young age!) But a few things have happened to my shopping habits since having children – first of all, I rarely shop for myself. I spend most of my “shopping energy” buying clothes for the kids, and shopping for myself is just not as fun as it used to be. Second of all, I hate trying on clothes. Partly because of how my post-baby body looks, but mostly because taking two children under the age of 4 into a fitting room with me is just not fun. Lastly, I’m realizing that while I’m not spending a ton of money on my wardrobe, my clothes don’t last very long – after about one season of wear they start falling apart, fading, getting stretched out, etc. And then I made the realization – I don’t have many items of clothing that I truly LOVE. (And I have a lot of clothes!) So that’s when I decided I would rather spend $100 on two quality items that I really like rather than 7 or 8 on-sale items that I am pretty indifferent about. Enter Stitch Fix. My “first fix” tip. One of the reasons I was hesitant about trying Stitch Fix is I don’t really have much need for accessories, skirts/dresses, dress shoes, etc. 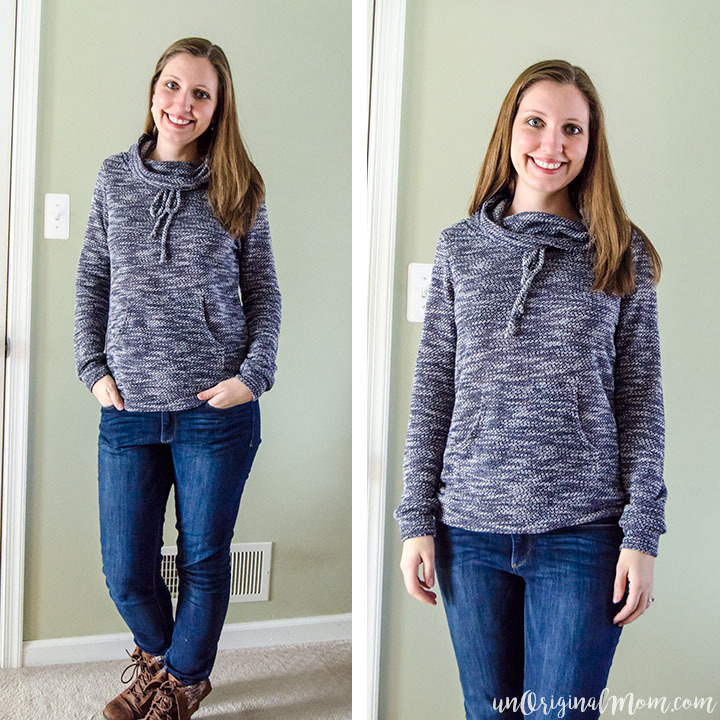 As a stay at home mom, my daily outfit consists of a pair of skinny jeans or leggings, boots or flats, and some kind of seasonally-appropriate top. I’m probably right smack dab in the middle when it comes to “mom fashion.” I’m not a yoga-pants-and-tshirt kind of mom (most days anyway), nor do I get dressed to the nines to head to the grocery store. (Certainly no judgement on either of those kinds of moms either – that’s just my personal comfort level!) In any case, I rarely have an occasion to get “dressed up” – our church is informal, and when my husband and I get a date night we usually go to a fairly casual restaurant. 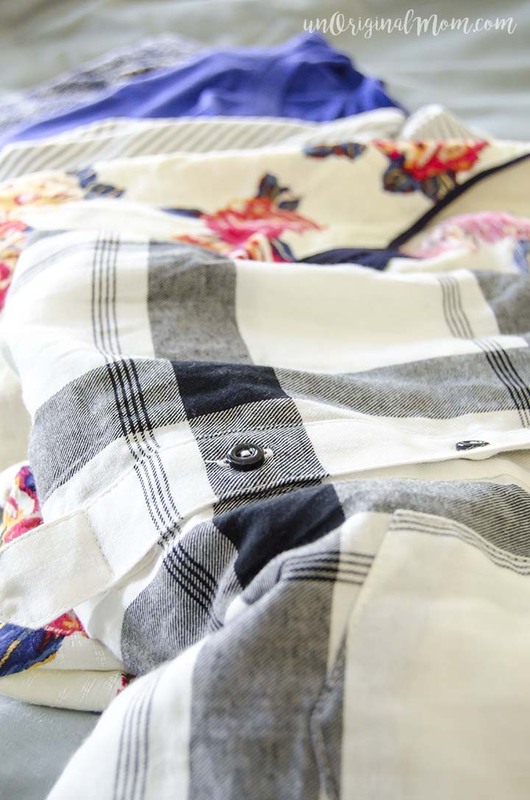 So it was this tip that a good friend of mine gave me that really convinced me to give Stitch Fix a try – start with just tops. There’s an option in your style profile where they ask if you’d like to “avoid” any kind of apparel or accessory item on the list – I checked them all except for tops. This was a great and really practical way to make sure that I had a good variety of options to choose from in my fix, and since I’m a pretty average “medium” build on top, fit would likely not be a problem. I am so glad I did that! 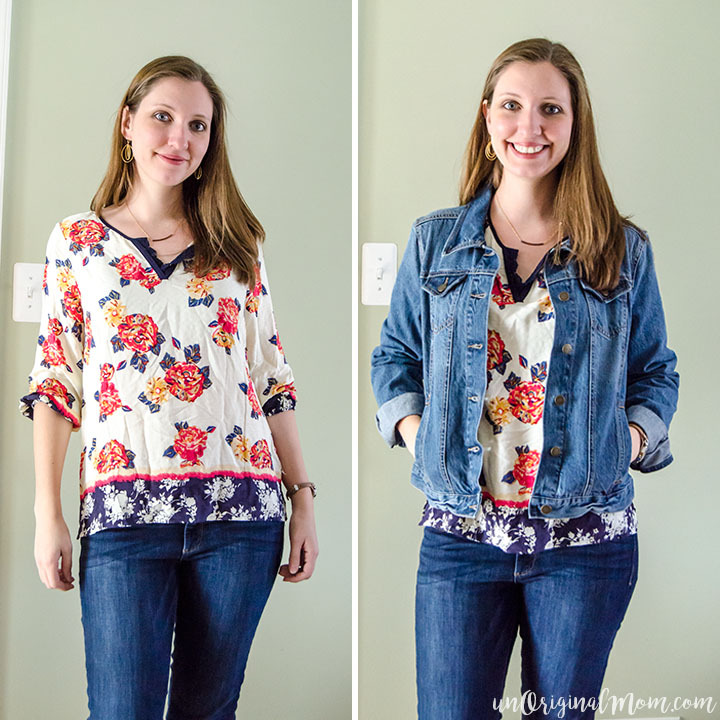 If you’re not sure where to start but are willing to spend about $40-50 or more on a good, quality, stylish top to add to your wardrobe, this is a great way to do it. 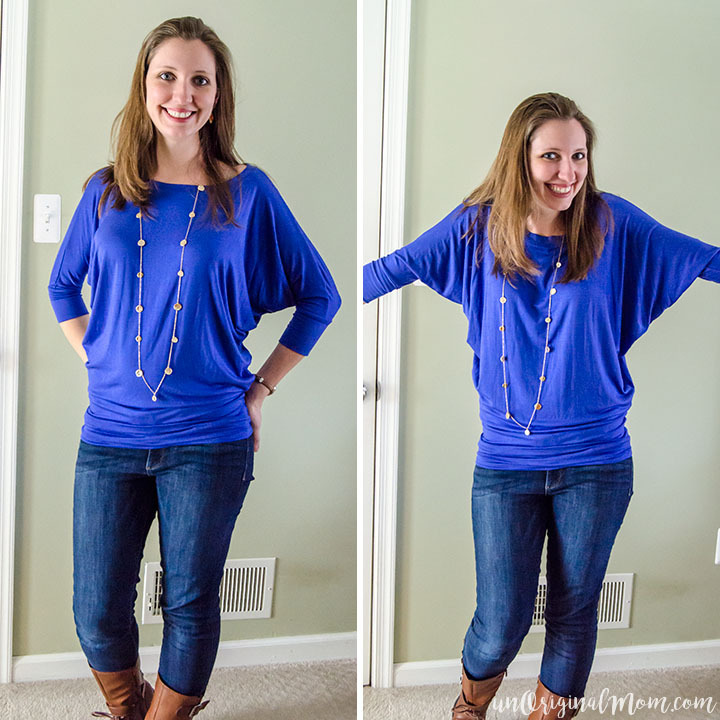 Ok, I know you’ve probably been dying to see…here’s what I received in my very first Stitch Fix! First up was this knit “sweatshirt” which was really more like a thin sweater. It was really comfy, but not super flattering. I wasn’t a fan of the neck, and it was a little too short…and ultimately the price tag was pretty high for what it was. Sending it back! Next was this fun floral print blouse. I was excited to try this on because I really loved the colors and the print…but it just didn’t look very good on. I didn’t like the cut of the neckline. Though I did like the look of it with a denim jacket, it wasn’t good enough to make me want to keep it. I was really on the fence about this one! This is definitely my style…I loved the plaid print and the length was perfect for wearing with leggings. It’s really light weight, casual and comfortable, which I like, but there just wasn’t enough “wow” factor to it to make me want to spend almost $50 on it. But I might regret sending it back. What do you think – should I have kept it? Ok, so, I LOVE this one! It is SO comfortable and soft, and I love the fit and cut of it – I showed you in the photo on the right how it’s cut around the arms so it has a lot of “drape” in it, which ended up being pretty flattering. To be honest, I am actually not entirely sure if I’m wearing it right…it is tight and fitted around the bottom and I *could* stretch it down over my bum to look more like a short tight dress, which would work with leggings, but then the loose top looked a bit odd. So regardless of whether or not this is the right way to wear it, this is how I like it :-) The color is bright and fun and will work with lots of different accessories. It’s comfortable to wear at home with the kids, and easily dressed up for church or a date night. Plus since it’s 3/4 sleeves and not too heavy it will be great to wear in the lengthy central-PA-winter-to-spring transition (which sometimes feels like a season in itself!). I think this is my favorite item from this fix! 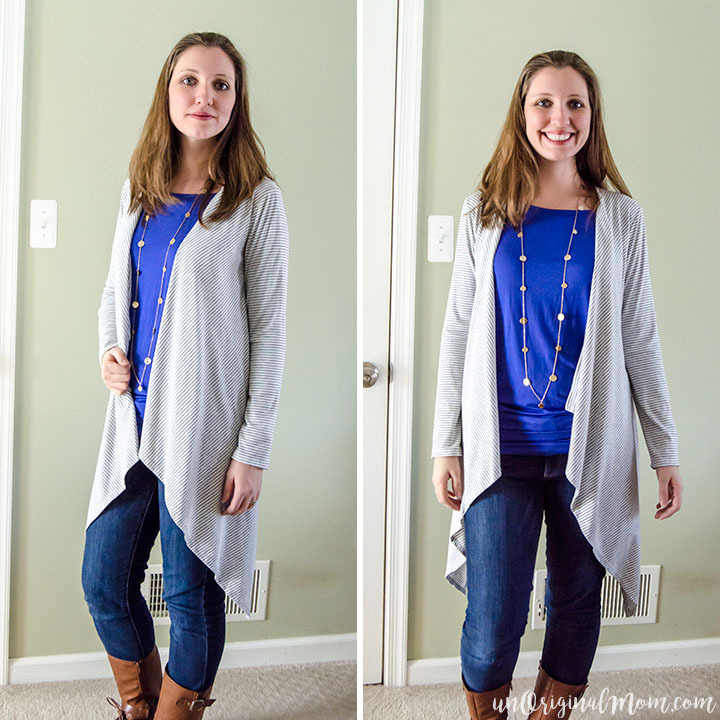 I was excited to see this cardigan in my box – I don’t own one like this, and it seems like it will be a really cute and practical addition to my wardrobe! It’s not too heavy, so I’ll be able to wear it into spring. The top of the flaps – up near the shoulder – are actually tucked in, so it lays nicely without showing the inside of the fabric, unlike some open flap cardigans I’ve tried on before. I love the thin gray and white stripes, too – neutral enough to go with just about anything, but not boring. I’m excited to add this one to my closet! Inside the box, along with my items and the return shipping bag, there was a note from my stylist (Catherine) as well as some cards that show some outfit ideas for each piece. Since I am very “style-challenged,” I found this really helpful! My thoughts and reflections. I really enjoyed this whole process! The excitement of opening the box, trying the stuff on, deciding what to keep, and adding some fun new options to my wardrobe…it was so much fun! Quite honestly, if money were no object, I would love to do this every month…but that’s just not in our budget. I think I might do it again in the spring, though, and maybe even expand my preferences beyond just tops! Want to give it a try? If you found this review helpful, I would love for you to use my referral code! Once you sign up for a Stitch Fix account through this link, if and when you decide to schedule a fix I’ll receive a $25 credit when your order ships (which means more fix reviews on the blog for you to read!). If you’re intrigued but not yet convinced, you can still sign up for an account, complete a style profile, and explore the site a bit without actually scheduling a fix. If you have any specific questions about the process, leave a comment and I’d be happy to give you my honest take on it! So, friends, this was a completely new experience for me – both receiving my first fix, and blogging about it! What do you think – was it helpful? Should I blog about it again? Did I pick the right pieces to keep & send back? 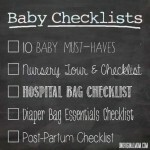 Leave me a comment and tell me your thoughts!! UPDATE – I did it again! See my 2nd Fix and Review here…it was a good one! Thank you very much for this! I’ve wondered about Stitch Fix but hadn’t tried it because I don’t need accessories or dresses, etc. I didn’t know you could opt for just blouses. I also didn’t realize you could spread out the deliveries. I thought you had to have it come every month. I’m a SAHM and don’t need a big wardrobe, but it’s super hard to go shopping with twin preschoolers! I thought the stylist did a great job of choosing things based on your Pinterest board. The blue top looks fabulous on you and I am sure that the way you have it rouched at the hips is the right way to wear it. 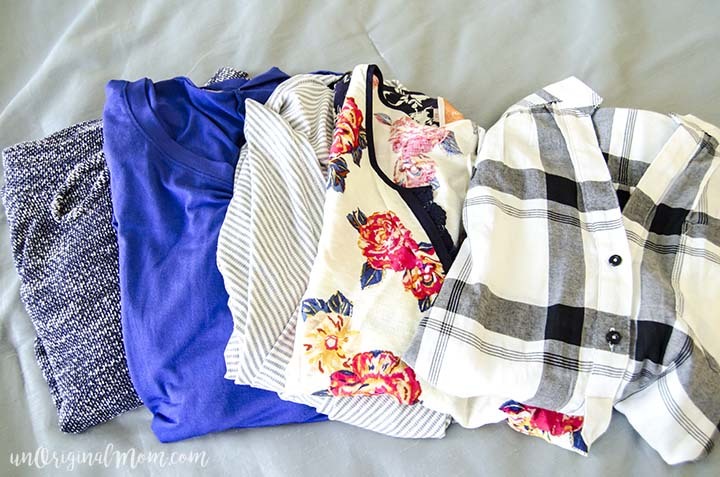 Like you I am a newbie with Stitch Fix. I loved all five items in my first Fix and kept them all!!! Thanks!! I really went back and forth on that gray and white top…it ended up looking better in the photos than in person though, if it was a touch more fitted around the waist I think I would have kept it…but I also have something pretty similar so I decided against it. How amazing that they nailed it on the first try with you! I’m already excited to sign up for my next fix!! Your fix experience looks pretty positive overall. I think you could have kept that flower top too. It looked very nice on you and is so trendy right now. Thanks for sharing! Aw, thanks so much Naomi! I really loved the print and colors of that flower top and would love something like it, but the top of it just didn’t lay quite right. I am going to request something similar for my next fix though! I joined Stitch Fix for the exact same reasons. All of my clothes were from Goodwill (half price day at that) or garage sale finds. I was ready to feel like a woman again, not just a mom. I loved the henley shirt, but I prefer spending money on items that you can’t find just anywhere. 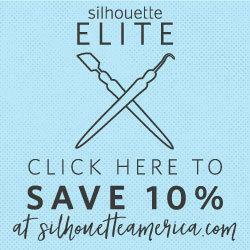 Just found your blog and wanted to tell you how amazing you looked in everything! I think you made the right choice keeping the cardigan and blue top, but I think you should have kept the plaid top as well. I’m getting my first Fix today and found you when I Googled “Stitch Fix”. Hopefully my fix is as cute as yours!